Angelo Ross, Sierra Blackman and Briona Barker-Davis worked with CTVN instructors Bill Sacco and Peter Kuttner on the film that features the south side of Chicago community center that is dedicated to providing youth a safe haven and promoting non-violence and positivity. The students used the skills they learned working for CTVN and applied them by telling the stories of their community using their own narrative. The award ceremony was held on May 6, 2017 at the Music Box Theatre (3733 N. Southport Ave., Chicago, IL). 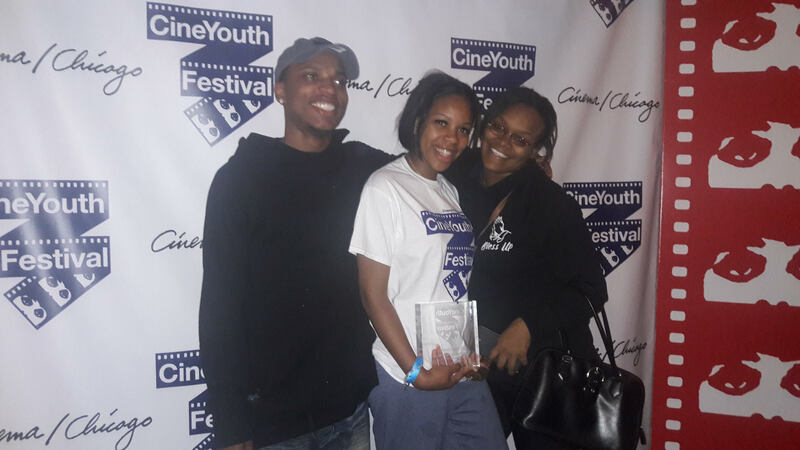 The students were awarded a cash prize in addition to the CHICAGO Award, by the CineYouth Festival to celebrate films that spotlight Chicago communities. The CineYouth Festival was May 4-6, 2017, and featured over 70 films from young filmmakers aged 22 and younger from around the world. The “Peace in the Streets” series was made possible through a Voqal grant.